Trinity Toddlers is currently over-subscribed and we regret that we are unable to accept new people at the moment. ‘Trinity Toddlers’ was started twenty years ago primarily for Trinity Mums/carers and their pre-school children, but also as an outreach into the community. The group meets every Friday morning in term time from 10.00 to 11.30. Coffee, tea and biscuits are available for the adults and juice, water and biscuits for the children. 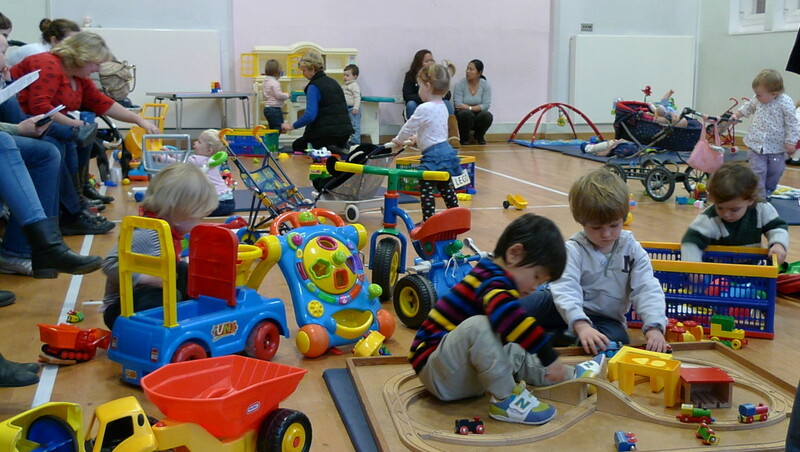 During the session there is a variety of large and small toys to play with. A short story time and a craft session are being introduced this term and the morning always ends with a singing and ‘percussion’ slot. Over the years Trinity Toddlers has expanded rapidly and, although there isn’t a waiting list, numbers attending each week have to be controlled and there are always new faces and new enquirers.